Bah! They never learn. 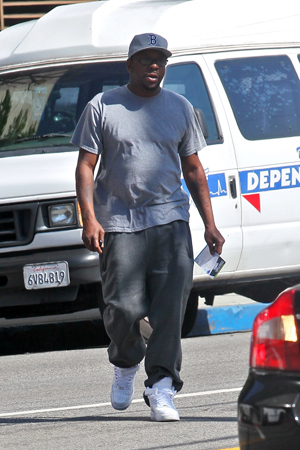 Bobby Brown, ex-husband of Whitney Houston, has been arrested for the second time for driving under the influence. It was a tremulous night in San Fernando Valley, when Bobby Brown was pulled over for talking on his mobile and then discovered to actually be intoxicated too. Two for one, people. He was, of course, charged with a DUI. Brown was booked at the Van Nuys County Jail. This would be his second DUI; he was also arrested for battery in 2003 and violating his parole in 2004. So, he must be on first-name basis with the police by now. This has been an uneasy two months for the performer; Brown’s ex-wife Whitney Houston died on February 11, from an accidental overdose. Celebrities should start a knitting club and whenever a star wants to take a swig out of the old flask… They can knit their way to permanent sobriety. Sounds like a great idea, no? Heh, there ye have it. Drink responsibly! Bobbi Kristina: Bobby Brown, you are not the father!